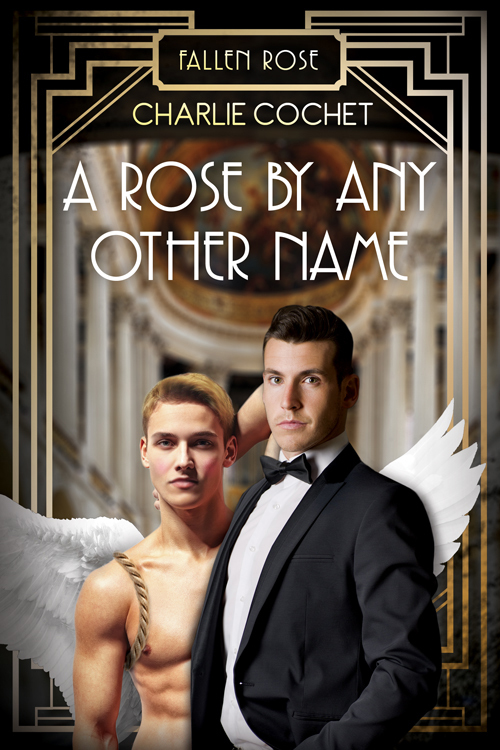 A Rose by Any Other Name Cover Reveal & Giveaway! Edward stood and took Eros’s hand, giving it a kiss. “I thought maybe after the second or third night you would have believed me.” The young man looked absolutely stunning as always, the gold cloth wrapped low on his slim hips working a now familiar magic. “Does it matter?” It wasn’t as though Edward wished to go about advertising his wealth, but he wouldn’t have thought Eros had any reason to be discreet about it. Perhaps it was time for Edward to get to the heart of the matter and the reason why Eros was doing his best to avoid Edward to the point of being brazen with him when every chorus boy, cupid, and Ancient Greek deity seemed to be in a constant state of frenzy each night in the hopes of roping themselves a wealthy patron. “Have I done something to offend you?” Edward took hold of Eros’s hand again, refusing to let it go. After the second tug, Eros let out a sigh and left his hand in Edward’s grip. Eros was absolutely enchanting, even when he was irritated. Eros narrowed his eyes at him, at which point Edward promptly let go of his hand. For a love God, Eros certainly had one hell of a murderous glare. Edward was pushing his luck, but he went with his gut feeling. Eros closed the distance between them and ran his hands slowly up Edward’s chest, over his shoulders, and down his back, smiling triumphantly when Edward gave a start at the feel of Eros’s fingers digging into his backside. Eros gave a low, sultry moan before running his tongue over his bottom lip. Pressing himself against Edward, one hand discreetly moved around the front to grip Edward through his trousers. Edward shut his eyes, willing himself to breathe. His hand slowly started to stroke Edward through his trousers. “Jesus,” Edward breathed, his hands going to Eros’s shoulders. He had to put a stop to this madness. It was clear Eros was willing to take this as far as he needed to in order to get his point across, and Edward was foolish enough to stand here and let him. “You turned him away?” Pothos asked, gaping at Eros. “Why haven’t you told anyone else who I am? Do you refuse to share me, or are you protecting me?” Edward held back a smile when Eros spun around and marched back to poke him in the chest. Eros threw his arms up in frustration and stormed off. “Did I mention you look stunning when you’re angry?” Edward called after him. With a laugh, Edward managed to jump out of the way in the nick of time, the glass shattering on the floor where he’d been standing. By the time he looked up, Eros was nowhere in sight. 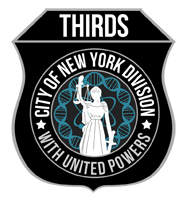 THIRDS Paperback Pre-Orders for GRL!! If you plan to attend GRL in Chicago this October, you can preorder paperbacks on our site between now and September 21 to be picked up at the event, and if you use the code GRL2014, you won't have to pay shipping! Any orders using this code will only be available for pickup at GRL. 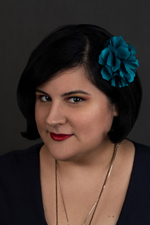 You can order books from any author, even if the author isn't attending GRL. The code is valid on all in-stock paperbacks and good for multiple orders, so take advantage of all the specials between now and then. We will have a special GRL preorder sale Sept. 17-21 where ALL paperbacks will be in-stock for preorders, so if something isn't available now, check back then. Vixen's Valor is available for pre-order from Amazon! Hello all! 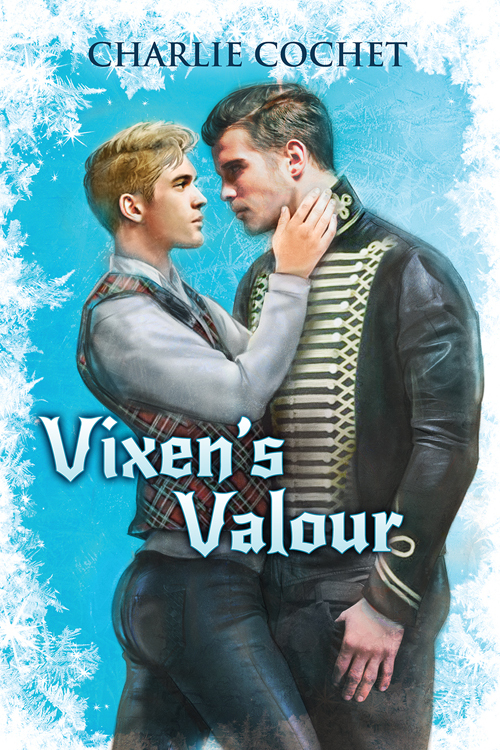 Vixen's Valor, the third novella in the North Pole City Tales series is available for pre-order from Amazon! Woot! Blurb: Rein Dear is a prestigious title, accompanied by admiration, devotion, and celebrity status, all of which one saucy Vixen thrives on. Alas, Vixen’s only concerned with having fun, unlike his stuffy and sensible best friend, Rudy Rein Dear, who Vixen has always been jealous of. Aside from being chosen by Mayor Kringle to be captain of the Rein Dear Squadron, Rudy’s managed to snag himself a prince, even if that prince is the dangerous and imposing Jack Frost. All’s not lost for Vixen though. He discovers Jack’s cousin Vale has a soft spot for him. Vale Frost might not be a dashing prince, but he’s the next best thing: a decorated lieutenant for the Toy Soldier Army, and a member of the Frost monarchy. Determined to get what Vixen feels he deserves, he sets off on a mission to ensnare the kind-hearted lieutenant. But Vixen’s selfish ways are sure to lead to disaster, and it’ll take more than a little courage to set things right. Rise & Fall (THIRDS, Book 4) Cover Reveal, Preorder, & Giveaway! Hello all! 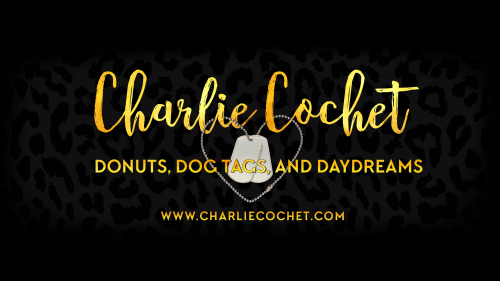 Welcome to the Rise & Fall (THIRDS, Book 4) cover reveal! I'm super excited to share with you the cover for the latest THIRDS book by the fabulous L.C. Chase! 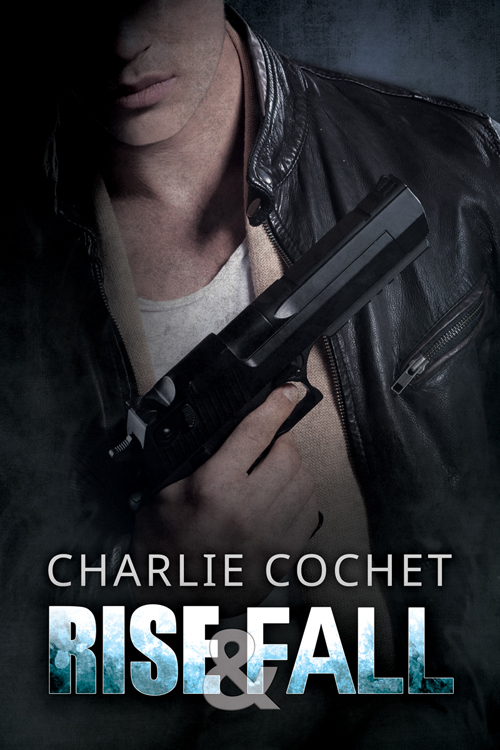 There's also a giveaway, and Rise & Fall is now available for preorder! No matter how hard Dex tried, his head kept replaying the scene like a goddamn looped video: Dex bolting for the front door, not caring what might be on the other side—getting to Sloane had been all that mattered. He has to be okay. Please God, let him be okay. Clouds of thick black smoke. The sidewalk in front of his house looking like a war zone, littered with debris and pieces of twisted car parts. The trees on fire. Dex tackled to the ground, the breath stolen from his lungs. Ash on him keeping him safe. Bullets flying. Sloane under a piece of mangled door. Screeching sirens and uniformed bodies rushing in. Blood everywhere. Sloane unmoving. A jagged piece of metal sticking out of his side. Blood, so much blood. Rise & Fall (THIRDS, Book 4) is now available for preorder from Amazon worldwide! A huge thank you to those who've already preordered! Not long now. ;) Happy Reading! Rise & Fall is also available for preorder from the publisher Dreamspinner Press (free access to the eBook when you purchase the paperback) and All Romance eBooks. Get 25% off Healing Hunter's Heart pre-order at Dreamspinner Press! Hello all! Dreamspinner Press is having another fabulous sale and Healing Hunter's Heart is part of it, giving you 25% off the pre-order! Woot! Don't forget Book 1, An Intrepid Trip to Love is currently available as a free read. Available as a direct download from the Free Reads page here on the website or from All Romance eBooks.